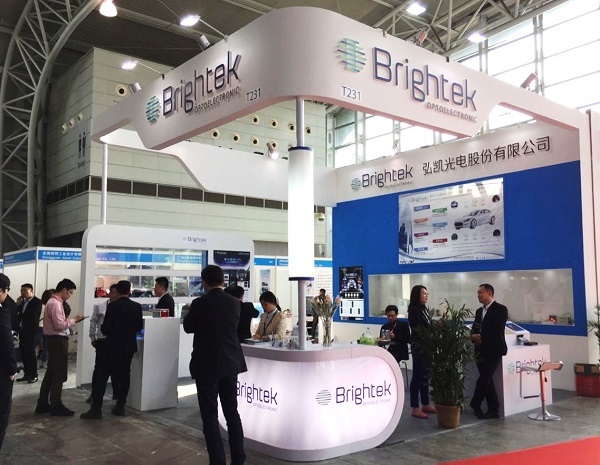 Home > Show Report > BRIGHTEK Showcased a Full Series of Automotive Lighting Solutions, Aiming to Expand Automotive LED P.. In accordance with Zhong Xunhui, BRIGHTEK, founded in 2001, has successfully entered the automotive OE (Original Equipment) market after acquiring the certificate of TS16949 system at the beginning of 2007. It provides supporting products for vehicle enterprises including SAIC-GM, SAIC-GM-Wuling, Ford, DFPV, DFSK, DFLZM, Geely, PEUGEOT and Tesla, etc, with proportion of joint-stock vehicle customers gradually increasing. So far, its automotive LED revenue proportion has stood at 20% to 30% of its general revenue. 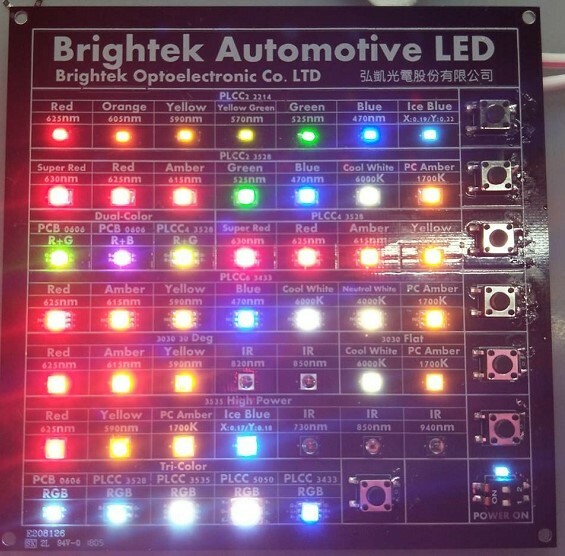 In addition, its automotive orders has experienced great increase since 2018 with automotive LED becoming one of the important development fields of BRIGHTEK. At Shanghai ALE 2018, BRIGHTEK showcased a full series of automotive interior and exterior lighting solutions which have met the requirement of AECQ reliability test. 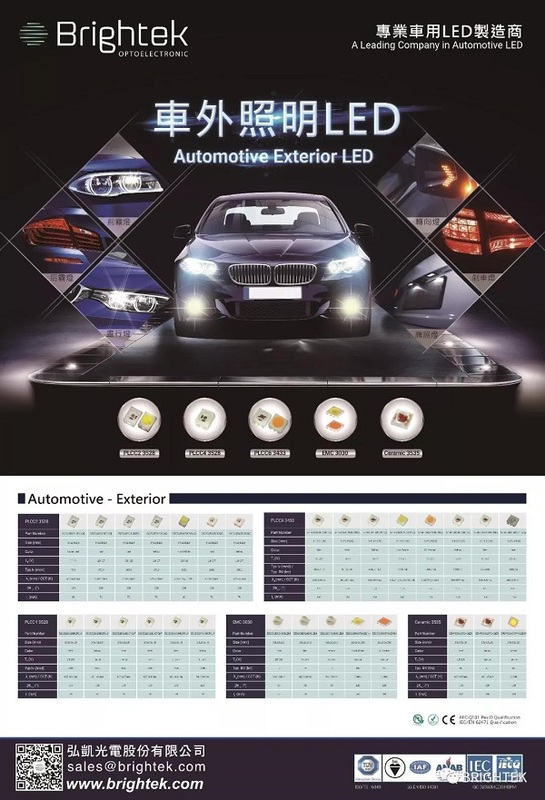 Of all, the major products of automotive exterior lighting are PLCC, covering PLCC2 0.2W 3528, PLCC4 0.2W 3528, PLCC 6 0.5W 3433 and EMC 3030 0.2-0.5W. They are applicable to applications such as DRL (Daytime Running Light), turn signal lamp, and stoplight. In terms of automotive interior lighting, 2214 and 3433 for backlight control light are the major products. According to Zhong Xunhui, its new patented product 3535+IC, named iCLed by BRIGHTEK, is a full-color LED package product with built-in IC. By directly packing IC in the LED with standard size, it can reduce wiring numbers, save the additional room for an external IC as well as achieving full color control of a single pixel. 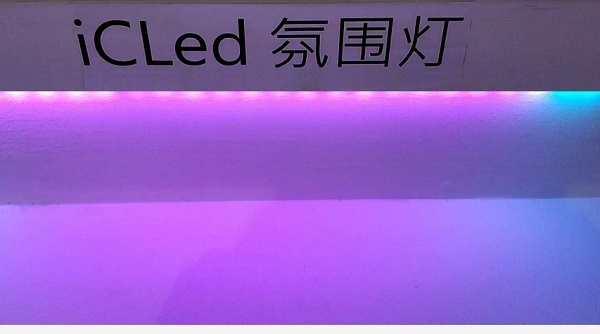 Besides, new iCLed product series improves LED color gamut from 256 to 8192 and even to 65536, largely increasing the diversity of product color applications. Moreover, it can be used in interior atmosphere lamp to enhance color texture and variety. In the future, BRIGHTEK will provide a series of iCLed products for its customers. In regard to production capacity, BRIGHTEK has been increasing investment with a view to deeply expand automotive LED market. 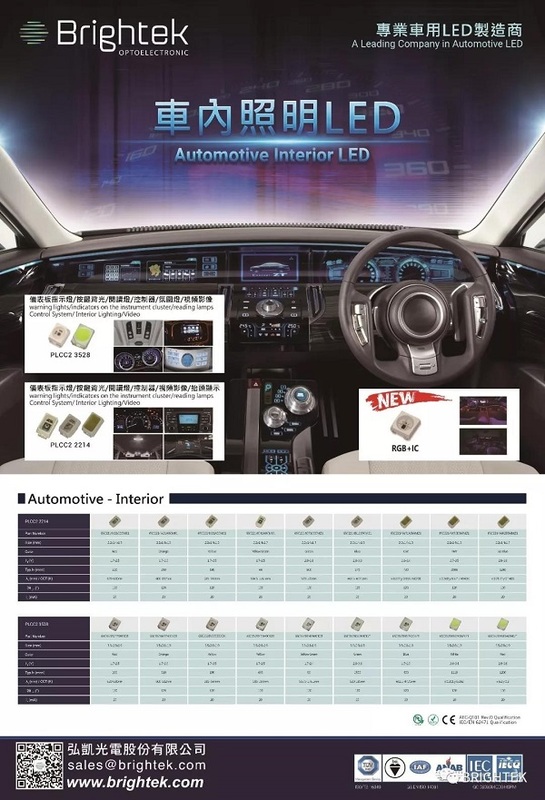 It has expanded the automotive-standard based independent production line of automotive LED in Shenzhen factory which is expected to finish in the middle of 2018. At that time, BRIGHTEK will set up independent identification code for each product. The intention is to achieve traceability of all products in response to the market’s high-quality requirements for automotive products. 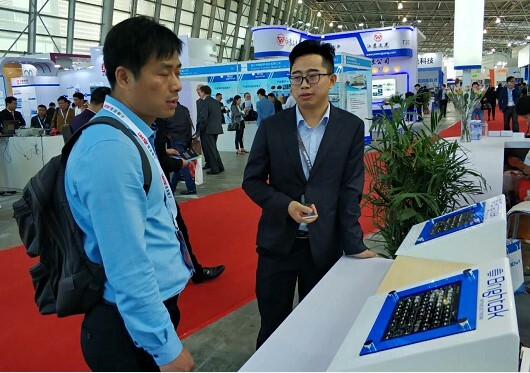 When it comes to LED development trend in automotive lighting field, Zhong Xunhui explained that technology popularization of smart ADB head light, unmanned driving and IR sensing will drastically improve as the concept of smart automobile keeps simmering. Whereas, these technologies have higher requirements in quality and quantity of LED components, which undoubtedly will stimulate LED market demand and enable product to develop targeting higher reliability and more intelligence. Zhong Xunhui added that BRIGHTEK will adapt to the market trend and march forward steadily. With an aim to increase market share to a new level in automotive field, BRIGHTEK will devoted itself to providing products with high reliability and quality for its customers.